Caleigh is an athletic, broad-shouldered attacker that seems to have mastered the art of the dangle, only to snipe you from outside the 8-meter if she catches you sleeping. 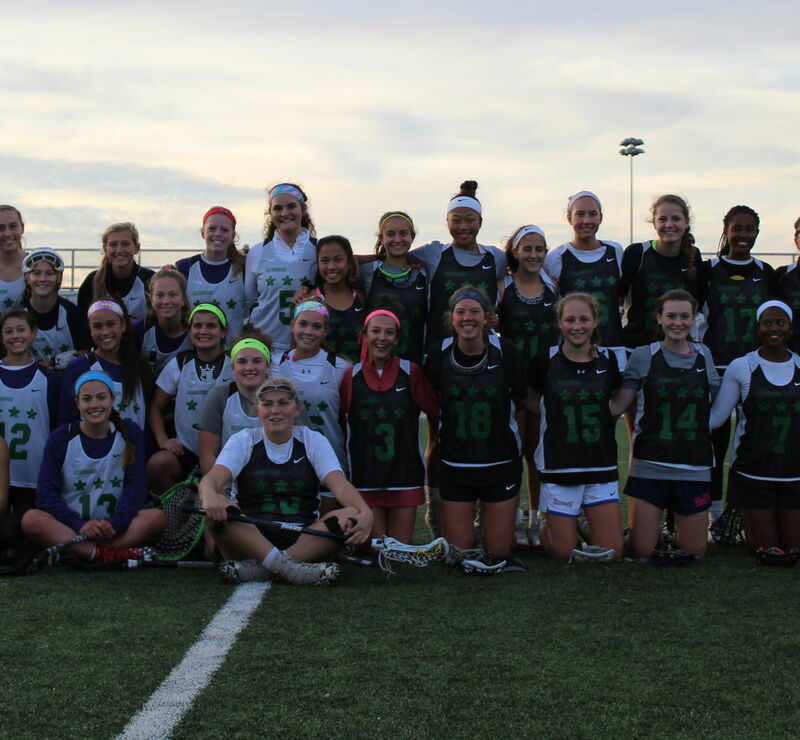 Caleigh turned heads all day at the Showcase, not only showing off her stick and shot, but her off-ball presence and lax IQ all over the field. Ashley is the definition of a midfielder. She is a gritty, no-nonsense, get the job done-type of player. This makes her easy to look over, but for the trained eye, she does all the little things that help your team win. She is fierce in between the 30s, a ground ball and 50/50 machine, and a defensive beast. Although she was nervous when I asked her where she was in her college process, she was far from showing those pre-game jitters on the field. Ashley is the unsung hero and scrappy midfielder that every team needs. Campos also was gritty, total workhorse. Her style of play is smooth and moves around the field effortlessly. This Saturday, she commanded attention on the field and was one of the best on-field leaders of the day, which is a tough task to execute in a Showcase format when you may not know your teammates. Her stick skills were also eye-catching. She has a rock solid right and left and had levels with both her cradle and her shot. Hard to overlook this Showcase MVP! Jenna caught my eye as one of the best defenders of the day because of her footwork. She was a shutout 1 v 1 defender and understood off-ball concepts, always sliding and crashing when appropriate. Her voice could be heard anywhere on the field, and she was the defensive backbone of her All-Star game defensive unit. O’Toole has been a solid, notable goalie in the past two Girls Philly Showcases, but in the past six months, her skill set has improved dramatically. Goalie skills are heavily evaluated in between the pipes, but it is what O’Toole did outside of the crease to be recognized by the college coaches as the Showcase 2020 MVP. She was everywhere - picking passes off, attacking ground balls, and clearing to middies at the 50. Maybe missing out on getting an All-Star nod at this Summer’s Showcase left her with a salty taste, but whatever motivated her, she came back with a vengeance and everyone noticed.